With each month of the year, and as the seasons change, there are new adventures to be had. Whether jumping in the lake, flying kites, dancing, or raking leaves, the critters are sure to have fun. The activities also follow the alphabet, for extra learning. 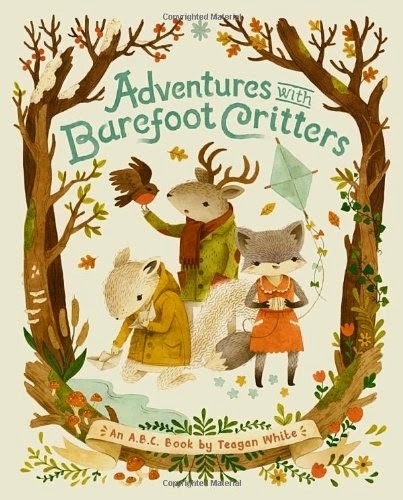 Join these adorable critters on an adventure! The book as a whole is great. It rhymes, it teaches the seasons, it follows the alphabet, AND it's rainbow-color-coordinated. Yes. All of that. 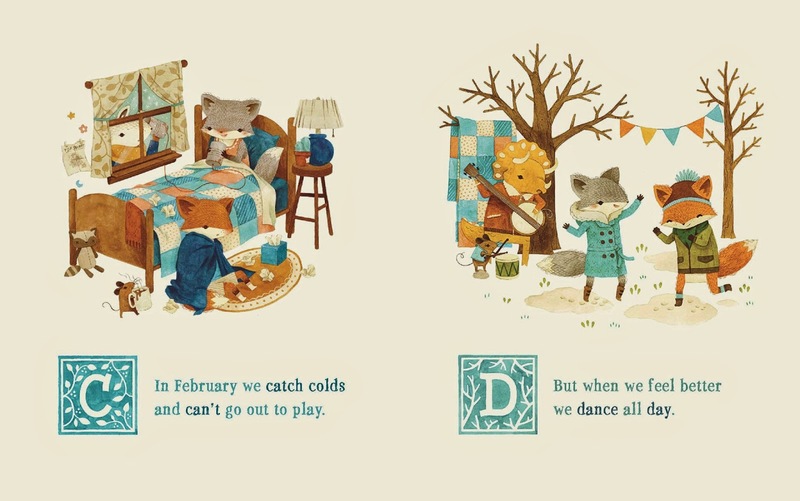 So on the one hand, it's a great tool for kids to have to read repeatedly—let's look for the letters of the alphabet, now which months go with which season, now the colors... There's a lot. A one time read may only get you an appreciation for a simple, not-to-exciting plot. So I do want people to check it out; but make sure to linger and let the kids have fun.